Thirteen years after it was announced by the government of India, the dedicated freight corridor (DFC) project is still struggling to take off due to lackadaisical attitude of the Indian Railways. It is only after prime minister Narendra Modi rapped the governments of Maharashtra, Gujarat and Uttar Pradesh for delaying the project of national importance, the Dedicated Freight Corridor Corporation of India Limited (DFCCIL), an arm of Indian Railways, swung into action and decided to commission the Ateli-Phulera section, which falls in Haryana (Mahendragarh district) and Rajasthan (Jaipur district), on August 15, 2018. There are six DFC stations in the Ateli-Phulera section. The Indian Railways carried out the first trial run on the western section between Ateli and Phulera on March 27, 2018. In the trail run, the locomotive had clocked 100 kmph speed, a significant rate as this would facilitate faster movement of goods. DFCCIL managing director Anshuman Sharma told Governance Now that 99 percent of the land of the total 10,587 hectares has been acquired successfully. He exuded confidence in making the 190 km-long Ateli-Phulera section operational on the Independence Day and Khurja-Kanpur section by November 2018. However, what the DFCCIL official has not mentioned is the fact that it is challenging to acquire remaining one percent of the land for the project. 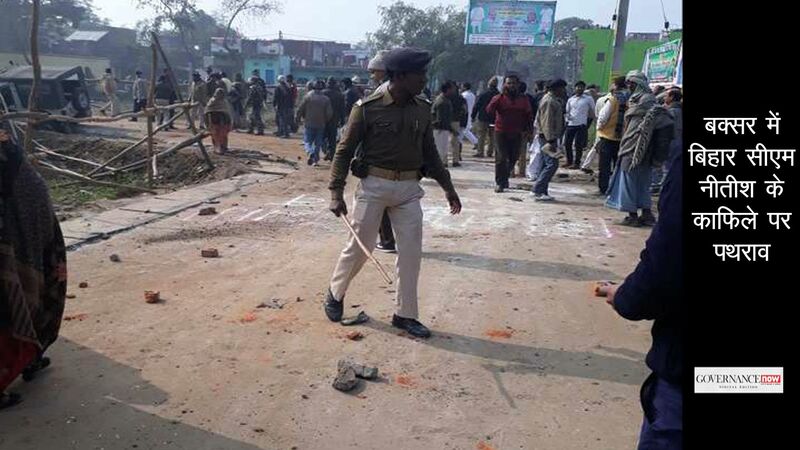 The transfer and physical possession of 18 km land in Chandauli district in Uttar Pradesh, acquisition of 15.60 hectares of land near Boraki station, transfer of around 26 hectares of land of Greater Noida Authority in Gulistanpur, Pali and Mokoda in Noida is held up due to resistance from the locals. In Bihar, physical possession of 2.5 km of land is yet to be done while in Rajasthan authorities are having a tough time in taking possession of land in Garhi Maliyan and Subhash Nagar localities of Ajmer district. PM Modi in a review meeting in May had expressed concerns over the delay in commissioning a few DFC sections and asked railways minister Piyush Goyal to not leave any stone unturned in making it operational at the earliest. 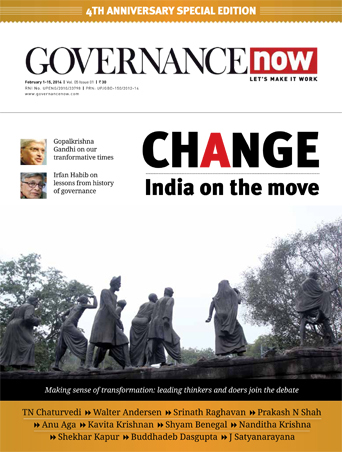 The Modi government had pinned its hopes on the DFC when it came to power in 2014 and desperately wanted to commission it before the 2019 general elections. The Indian Railways, however, miserably failed to meet several deadlines due to issues related to land acquisition, environmental clearances and compensation to beneficiaries. Now, the entire DFC project is likely to be commissioned by 2020-2021. The Rs 81,459 crore project is aimed at speeding the movement of freight and easing out the burden on the congested routes for passenger traffic. At present, a goods train runs with an average speed of 25 kmph, which would go up to 60-70 kmph once the DFC becomes operational. The existing trunk routes of Howrah-Delhi on the Eastern Corridor and Mumbai-Delhi on the Western Corridor have been highly saturated because of increase in the number of passenger and freight trains and line capacity utilisation varying between 115-150 percent. Railways lost the share in freight traffic from 83 percent in 1950-51 to 35 percent in 2011-12. The national highways along these corridors, comprising 0.5 percent of the road network, carried almost 40 percent of the road freight which is a reason of worry for the Indian railways. The DFC project is divided into two parts – the 1,504-km western freight corridor which runs from Dadri near Delhi to Jawaharlal Nehru Port Trust in Mumbai and the 1,856-km eastern corridor from Ludhiana in Punjab to Dankuni in West Bengal. Sharma said DFC is a huge infrastructure project spread across 2,800 route km and involves tough challenges like earthwork, bridge construction and laying huge track material like sleeper, ballast and rails. He said there was a shortage of material after UP and Rajasthan banned sand mining, which affected the construction work. Sharma said there were some land acquisition issues in Etawah where the locals did not have anything against the project but demanded more compensation. When asked about sections facing land acquisition problems, Sharma said Boraki in Greater Noida, Kanpur, Chanduali and in the western sector spots like Palghar in Mumbai and Madar near Ajmer are some of such parts where state governments are in the process of acquiring land. Sources in the ministry said poor monitoring of the eastern and western corridors by the Railway Board has led to the shoddy progress of the project. An official said that the Indian Railways has failed to strengthen its coordination with the state governments to hasten the land acquisition process. “Had the land been acquired and civil contracts awarded in time, a few sections of the DFC would have been commissioned by this time,” said this official. A 2015 Comptroller and Auditor General of India (CAG) report raised several questions on the delay in executing the project. It stated that the DFC project, approved in February 2006, was planned for completion within five years, with an estimated cost of Rs 28,181 crore. But it remains incomplete with little progress. It underscored that the ministry of railways went ahead seeking final approval of the project without completing crucial formalities like freezing of alignment, finalisation of concession pact, firming up funding arrangement and preparation of detailed cost estimate. Even the timelines for completion of the project were not firmed up, the report stated. It attributed lack of proper planning and implementation strategy as the reasons behind cost overruns of three years and cost escalation of Rs 7,992 crore in construction cost and Rs 4,442 crore in land cost till March 2014. Recently, a column written by the chairman of railway board Ashwani Lohani, which appeared in a few dailies, highlighted that the construction pace of DFC has picked up speed. Lohani was quoted as saying that many administrative, managerial, contractual and legal hurdles were successfully removed by the railways and the DFC is likely to get commissioned by March 2020, with both the corridors stand fully operational. Sharma said DFC’s operating cost would be 40 percent of the present Indian Railways cost, which means the cost of transportation would come down. Indian Railways’ freight movements in the DFCC routes would reduce the load on the railways and would result in faster movement of passenger trains. The loading capacity of goods train will go up significantly once DFC becomes operational. Currently, a goods train carries around 5,400 tonnes of freight and it will go up to 13,000 tonnes once the goods trains start running on both the corridors of the DFC. Sharma said the corporation is using 2X25 KV electricity system against 25 KV being used by the Indian Railways to run trains with heavy load. 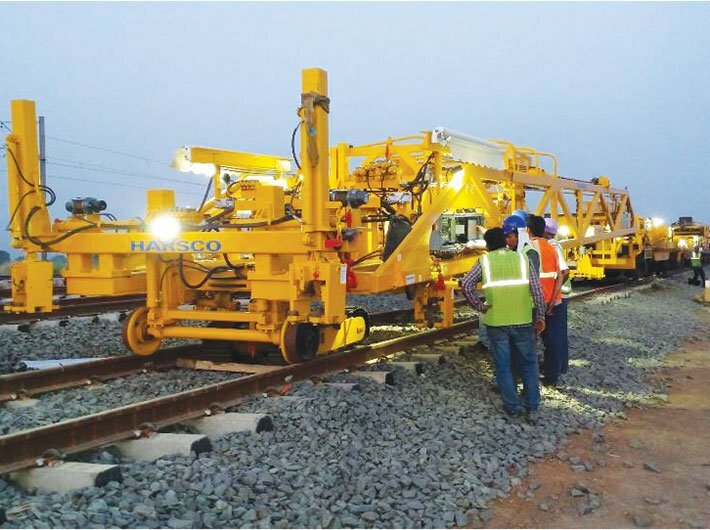 DFCCIL is using two new modern track construction (NTC) machines which can lay 1.5 km of track in a day, compared to a mearge 200-300 metres of track laid by Indian Railways. When asked about the cost overruns, Sharma said that escalation is around Rs 10,000 crore. He said that escalation was not much because rates of essential materials did not increase significantly. “We had estimated cost escalation of around five percent but it is coming around 2.5 percent. The cost overrun is mainly because of the increase in compensation amount, interest to be paid on the loan amount and usage of better technology to run goods trains,” he said.